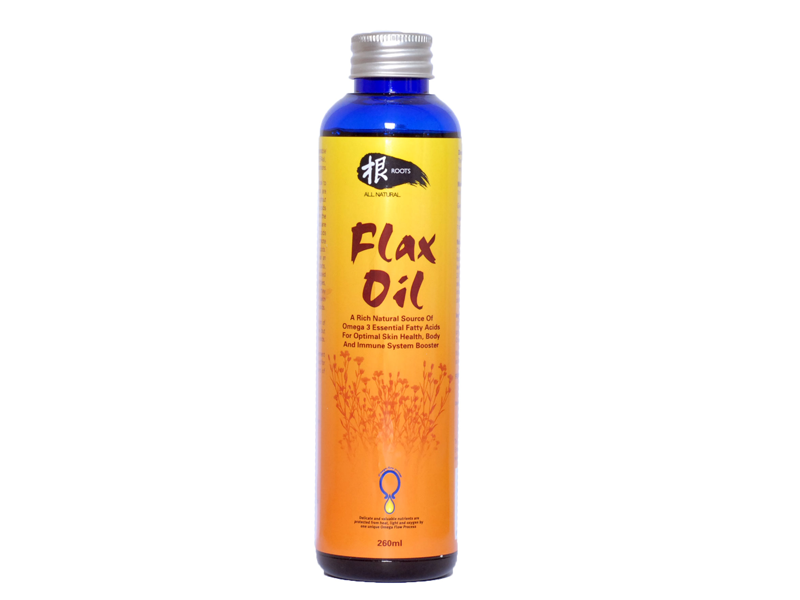 Flax seed oil is nature’s richest vegetable source of Essential Fatty Acids (EFAs). Omega-3 and Omega-6 in the right proportions. Roots Flax Oil has a higher concentration of Omega-3 fatty acids and a relatively low, but important concentration of Omega-6 fatty acids. The advantage of Roots Flax Oil supplement is that it can be added to your pet’s food for overall health and for the treatment of illnesses without the use of drugs. Reduce risk of cancer, diabetes, kidney disease, asthma and heart attack. 100% pure human grade unrefined cold pressed flax seed oil. Contains at least 60% Omega-3 essential fatty acids.